My first stop in Monterrey, the awesome Amatle Organico Cafe and Hostel. The two lane road wound across the desert, cacti popping up like telephone lines and scrubby trees dotting the skyline for miles. I leaned into turn after turn, opening up the throttle and throwing the bike right, then left, then right again. The early sunrise was golden, and at every turn glinted off my face-shield, the only sounds in my helmet the rush of the wind and the click of the gear shift lever as I change gears. 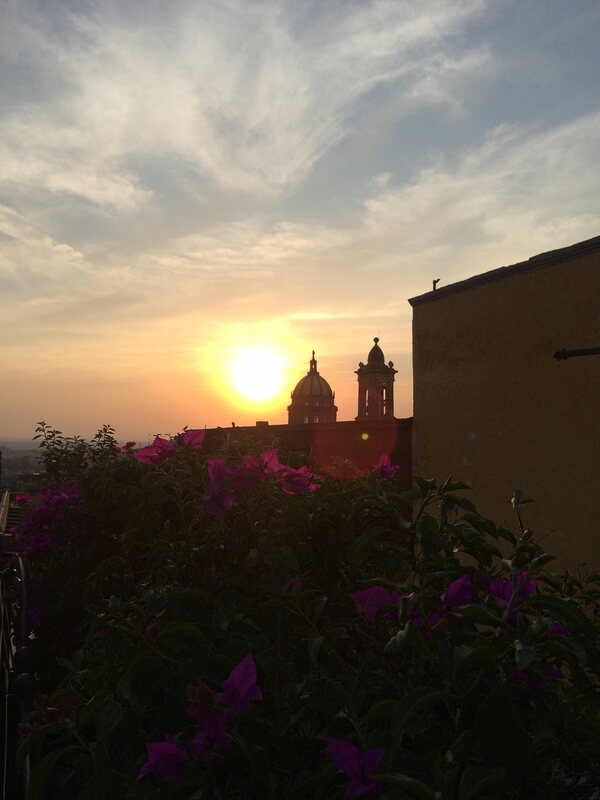 A short hour later, I rode into the town of San Miguel de Allende, the highway petering out in a steep descent of slippery cobblestones and bumper to bumper traffic. “In 500 feet, turn left” chirped my phone, through my left headphone. The streets leaned and dropped, my motorcycle bumping up and down. The traffic stopped, then started, then turned into a series of sharp, unmarked speed bumps, all the while tiny little alleyways with steep descents and ascents popped up seemingly out of nowhere. I quickly squinted at my phone underneath the clear plastic sleeve of my tank bag, but the sun was so bright, it was hard to see where the turn was. The 2016 Suzuki tu250x weighs 326 pounds unloaded. 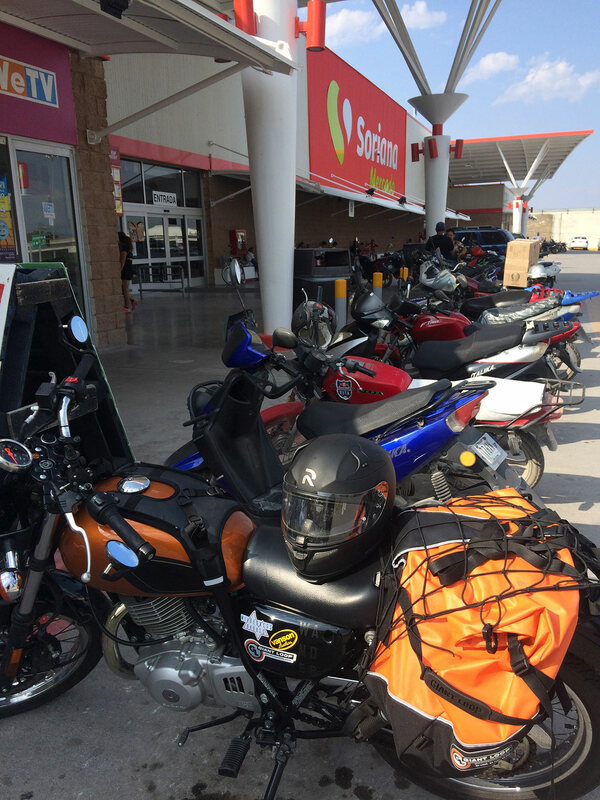 With roughly 45 pounds of gear on the pillion, 7 pounds on my tank bag, and another 110 pounds for me, I balanced the weight from arm to arm, tiring after just a mile of maneuvering the bike at such slow speed. I made another left at the next street, and a quick right, narrowly avoiding a huge bus and navigating a sharp right on the cobblestones. There! 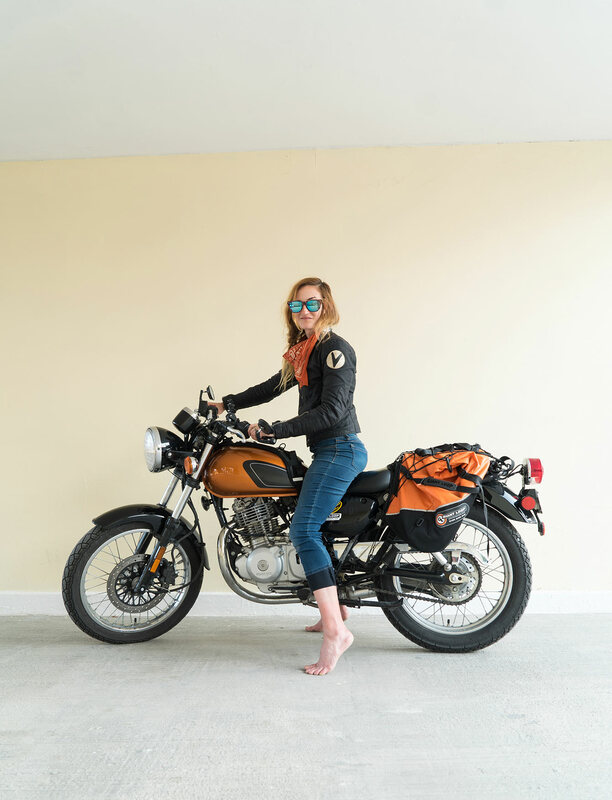 With a quick maneuver, I leaned hard to the left, quickly pulling the bike back to the right while blipping the throttle to extend the front forks over the low curb, and stopping hard on a tiny sidewalk the width of my forearm. I sat on my bike for a minute, laughing a little at the madness that every day brings on an adventure. They pulled out two tiny metal pieces shaped like a crooked ‘L”, no wider than a smallish sandwich. “Here,” one of the owners said. “We’ll put these down, and just drive up the stairs.” He placed the metal pieces at the base of each narrow step. The stairs exited through a small metal door, which opened up into a small courtyard. They looked at me expectantly. I’ve learned through experience when trying new, difficult things on the road, to embrace them with a passive face, and hope with all one’s heart everything goes well. I didn’t want to ride up those steps. I had just finished a hard ride through the tiny city that took all my concentration— but there’s a confidence we find when other people believe in our capabilities. Seeing the two owners watching me expectantly and smiling, I nodded to them, and rode the bike up the stairs into the courtyard with a serene face, my heart pounding in my chest. The day begin as all good days do, surrendering to the challenges that await us on the road. 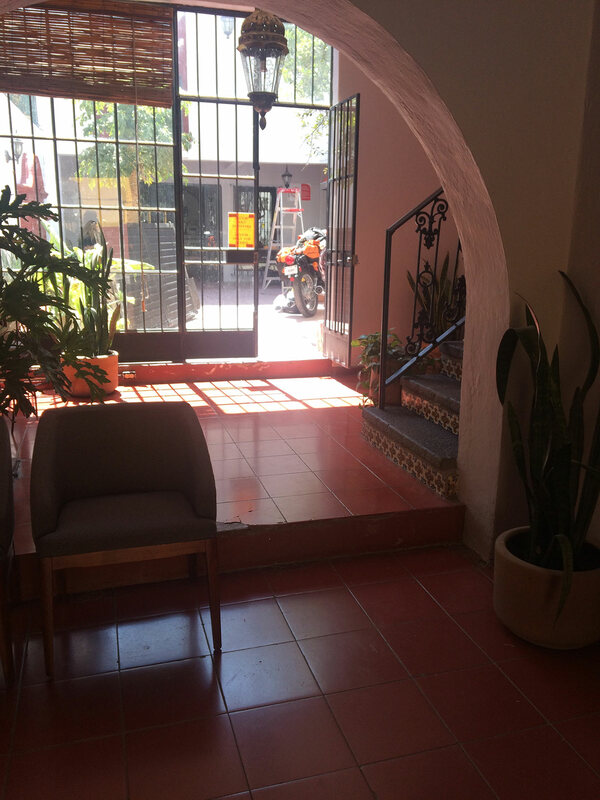 My fate took the shape of riding down steps on the motorcycle to exit the hostel, and a short ride to a neighboring town— Guanajuato. The map Maps.me presented as I typed in the hostel name at 7 am looked like a joke— a spaghetti noodle pile in the centro district. I figured it was just the GPS acting up, and it would re-route once I got closer to the city. It didn’t. Guanajuato was initially settled in the 1520s by the Spanish as a mining town. 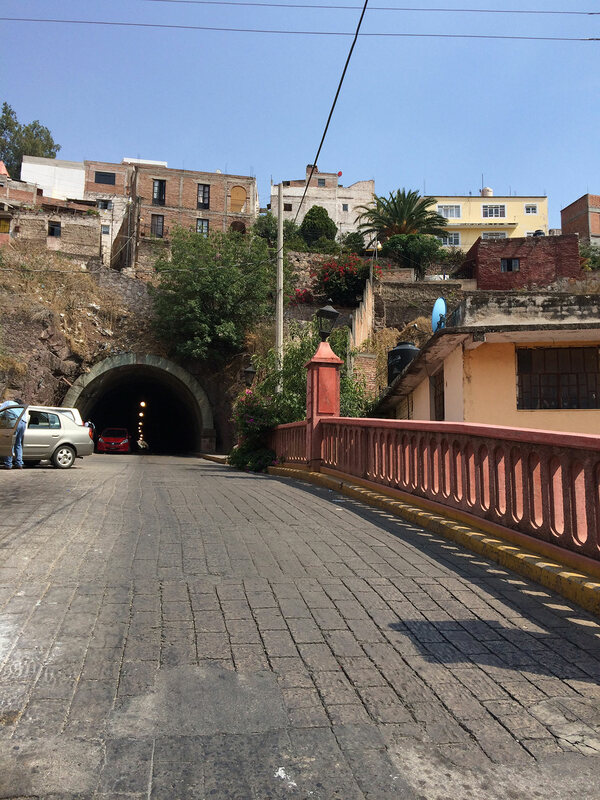 Its maze of crisscrossing roads and bridges and underground tunnels in the City Centro is due to diverting the Guanajuato River from flooding the town during the wet season. Almost all the streets running through the city center are one way, and I rode on a maze of roads, down through underground tunnels, plunging into darkness and emerging out into the sunlight just as quickly. It only took 30 minutes to find the hostel through the city center, and after unloading my bags, one of the guys working at the Vegetarian Restaurant/Hostel where I was staying pointed down the road to where I could park my motorcycle. I was roughly 20 feet down the one way road, in the opposite direction of traffic. “Just drive around,” he said, pointing down the one way street in the flow of traffic. I looked at the bike, then down the road. I walked down the narrow sidewalk which ended in two metal posts I’d have to squeeze the bike through if I rode down the sidewalk instead— I wasn’t sure I’d make it. I considered riding the wrong way down the street, it was such a short distance, but the road ended in a sharp curve small trucks were trying to navigate, and it seemed like a foolish risk to take. Inwardly sighing, I resigned myself to again riding up stairs so to speak, and started up the bike. “Turn left in 100 feet,” my phone chirped. 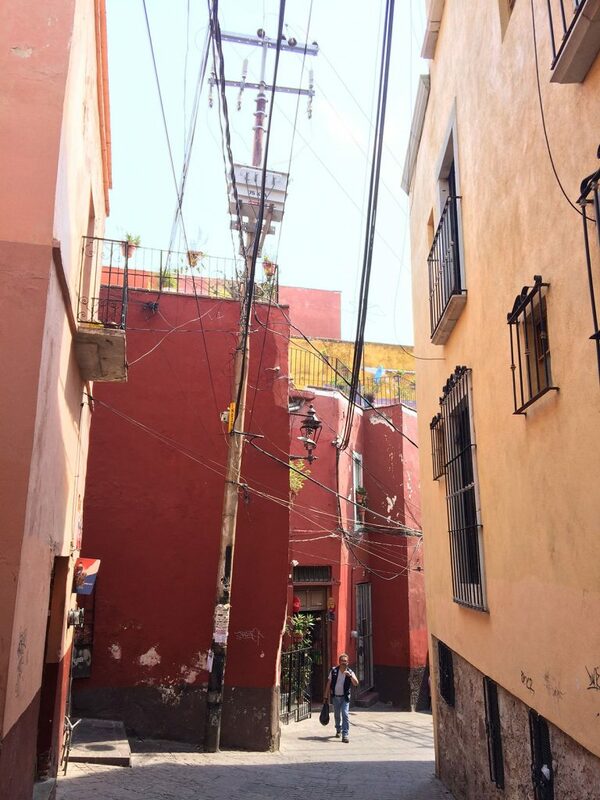 The narrow cobblestone street turned a sharp curve and ended in 4 different small streets branching off. None of the streets appeared on my map, or had any of the same names as what my map was showing. I went far left. I ended in a travel circle with my phone telling me “take the first exit” which I did, then ended back at the traffic circle. Then again. Then again. After arriving at the same roundabout 4 times, I started taking random streets that seemed to head east. I rode through dark tunnels, over bridges, then through more dark tunnels where cars would suddenly appear from hidden exits, and the tunnels would end in hidden underground expressways, dotted with stop signs. One hour later, I arrived back at the hostel, 20 feet from where I began. I splurged on lunch and drank an entire pot of coffee. 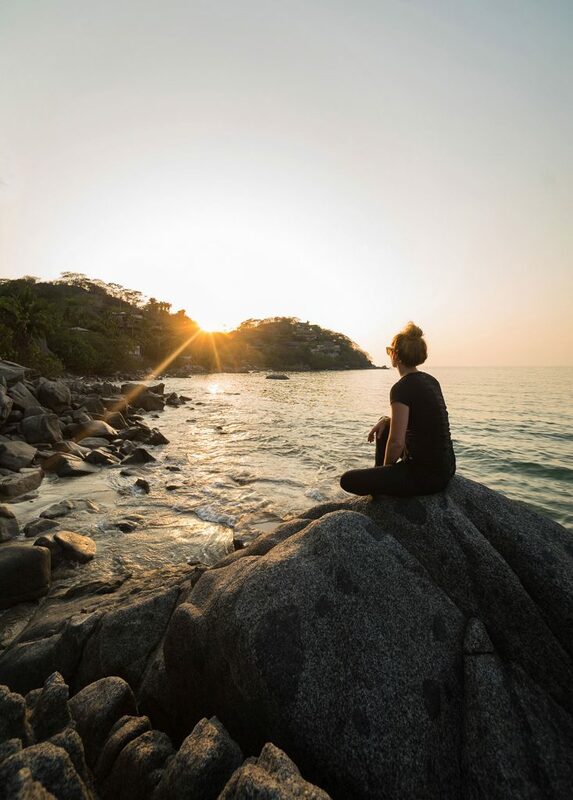 There’s a word in Arabic, Fanaa فناء , that means the destruction of the ego or self, related to the Buddhist idea of the eightfold path and the highest state of meditation through stripping away the self. It also means the destruction of self for love. Ego has no place in adventures, although it’s found often enough in explorers. The moment we start to feel like the moment, or place, has been conquered, is the same instant we stop being open to learning— and we lose. We lose the stories of other humans on the road while we’re talking about ourselves instead, we lose the knowledge of the best roads to take, or places to visit, by becoming overly invested in ourselves and our current knowledge, and we lose the ability to lean on others. We lose. Only by being humble, by being open to experiences and stories, and accepting and actively thinking that we know so very little, can we truly be part of the road. The saddest thing we can do is hold on tightly to what we think we know, brandishing it like a sword. Without fanaa, we’re no more than sheep, traveling a grey line to what we expect to be at the end of the road. I rode down a steep, sandy street into the heart of Sayulita, a surf town on the Pacific coast of Mexico. Heads turned as I rode down the street, my tangled hair thrown over one shoulder, my loose tank top over my sports bra. I like to joke that I couldn’t get more attention if I rode into towns on the back of a Taun Taun. It would be easy to confuse the attention with accomplishment, to make the attention into something ego-centric, instead of what it is— doing something a little different people aren’t used to seeing— and there’s a responsibility in that. I’ve met the most amazing humans this week on the road— who are all doing something a little different. Lucy in San Miguel de Allende, who has traveled all over the world, and is headed to Australia next. I met Cody and Sarah, two entrepreneurs on their honeymoon who have multiple properties in Melbourne they rent on AirBNB. 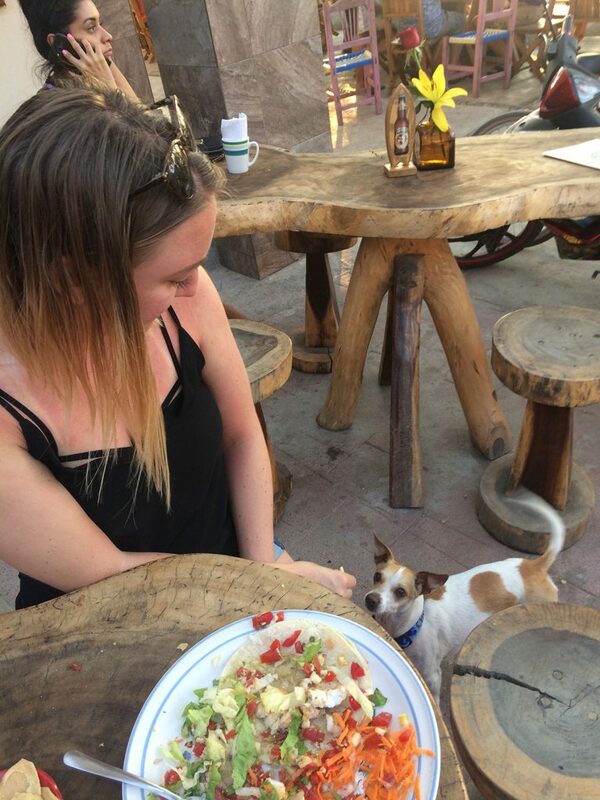 I met Dana last night for dinner in Sayulita, from the Remote Year program, after she sent me a message on Instagram that she had been following me there for a year and had seen my motorcycle with DC plates parked on the street. I’ve had the most amazing conversations and heard some incredible stories of people doing the wildest things. We all have unique capabilities and stories, some more visible than others, but hold no more or less value. In this crazy life, we can only move forward, forgiving ourselves for the things we didn’t do well, building on the mistakes we’ve made, quieting our restless hearts with promise of doing more, doing better in the future, and riding down that next stretch of highway to the unknown. 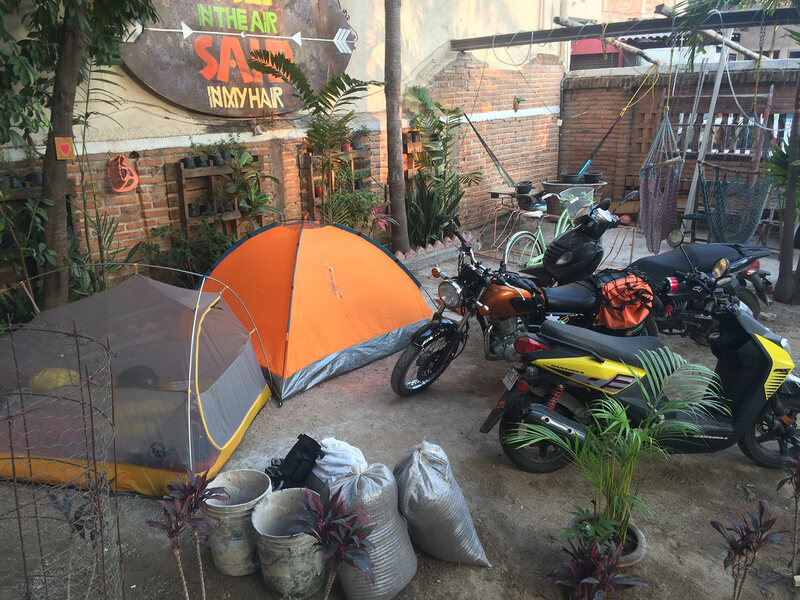 Camping in the LaRedonda Hostel front yard. I had reached the Pacific, that long stretch of blue and breeze running out to the horizon. I was walking along a winding path from the road to the sea, alone in the quiet of the woods, spying red crabs popping in and out of holes and small lizards scuttling in the dry leaves and dirt. Carrying my surfboard, the path opened up to the ocean, the smell of salt on the air, and long, quiet beaches in both direction. Craggy rocks capped the beach at the ends, and several people sat along the shore at that popular surf break. I paddled out into the clear water, one stroke after another, my fingers sieving the water. Nearing the first break, a white wave crashed around me, soaking me completely in the warm Pacific. I surrendered to the ocean, and began anew.